Collaboration has been the key to so many of Prosperity Garden’s successes. With many dynamic partnerships established we work together to meet shared goals, which positively impact our youth and our community. CARE4U teaches positive relationship, job readiness & money management skills to members (ages 15-24) in Champaign-Urbana in 25 weekly sessions during the school year. Part-time summer work or 3 hours of Parkland tuition paid for program graduates. Prosperity Gardens serves a work site for CARE4U graduates, offering Production Assistant positions during the farm season. Prosperity Gardens has had the wonderful honor to partner with several different departments, professors and students since the organizations inception. Students and staff have worked on variety of projects together including; The School of Architecture, Department of Art and Design, University of Illinois Extension, Department of ACES and the Student Sustainable Farm. More than 500 students have clocked in over 2,000 volunteer hours since 2011, and Prosperity Gardens has received over $50,000 in in-kind donations. Sola Gratia Farm is a community-based farm dedicated to producing locally grown, high-quality, natural produce. The farm promotes healthy lifestyles and community building through volunteering and service, special events and outreach and education programs. For the past 5 years, Prosperity Gardens and Sola Gratia have been working together to fight food insecurity. In 2017, Sola Gratia donated over 500 pounds of fresh produce to support the Mobile Market Program. Prosperity Gardens Production Assistants also worked once a week alongside volunteers and staff at the farm. They did a variety of farm work, gaining valuable knowledge about different ways of farming. Each season Prosperity Gardens has the opportunity to integrate new and exciting experiences into our work-force development program. Production Assistants have the opportunity to participate in community outreach events, and public speaking engagements. 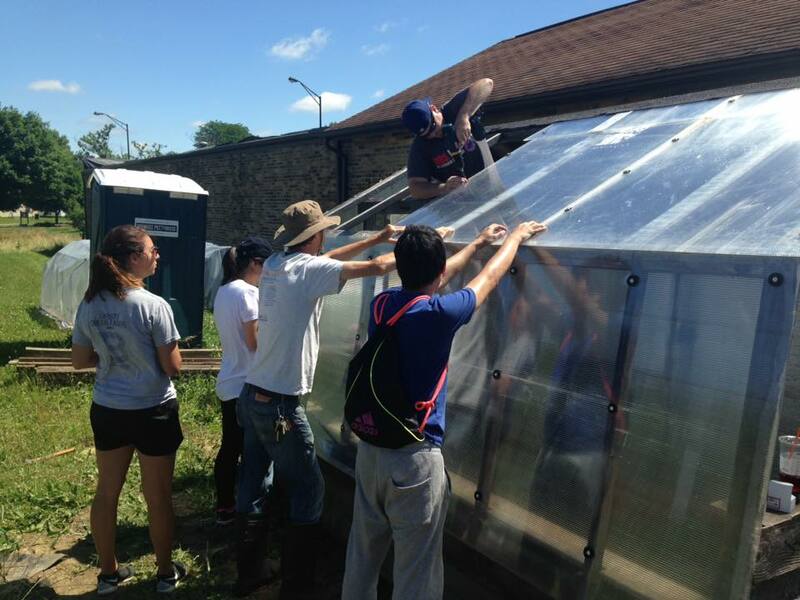 Students have had experiences at University of Illinois’ student farm, Delight Flower Farm, and Neutral Cycle.